Acne - aka Acne Vulgaris - is a pathology affecting the oil glands of the skin. Your first encounter with acne occurs typically during puberty - hormonal flux stimulates oil production by the sebaceous glands of the skin, resulting in sebum build up and acne formation. These oil glands are located just under the skin where one’s pores are seen. This oil is intended to carry dead cells to the surface of the skin via the hair follicles, as well as to lubricate the hair and skin externally. It is when this pore gets blocked that the trouble starts. While acne is itself is not dangerous, its presence can be distressing. On top of the pesky bumps and persisting red marks, acne can leave more permanent sequelae - scars. As such, acne should be managed as early as possible, and understanding how acne forms is the first step to compliance to treatment measures. Why Does Acne Keep Returning? Think of the structure of the hair follicle like that of a tree - the hair follicle feeds on nutrients (and is affected by hormones) that are brought to it by the blood - like a tree feeds on the water in the ground through its roots. This is the body’s (systemic) effect on the single hair follicle; hormonal changes during puberty or menstrual periods affect change to the follicles at this level, and is one of the methods in which acne can effectively be controlled. 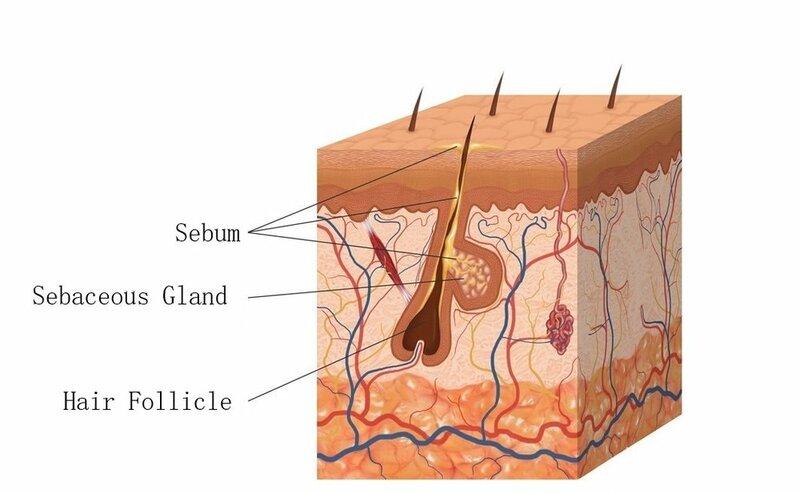 Once it receives its nutrients and signals, the hair follicle produces sebum at the sebaceous gland, much like a tree photosynthesizing and growing on its own. For some reason or other, pores through which the hair sprouts in the skin gets blocked by dead skin and the sebum accumulates within the follicle. This is the next area that can be targeted in acne treatment - managing the tree itself. As can be seen, the organ that is the skin is itself a living organ - it is in constant growth and renewal and as such, acne is too. Most treatments center around controlling and preventing further acne outbreaks, while some harsher forms of systemic therapies can permanently destroy sebaceous glands and eliminate acne. The early stages of acne occur as excess sebum accumulates within a hair follicle. If the follicle’s pore is blocked, a whitehead is formed. The next stage involves the introduction of bacteria - specifically Propionibacterium Acnes. This produces a local inflammatory response that results in increasing redness and swelling of the hair follicle. As the infection and resultant inflammation goes unchecked, swelling increases and cysts may form. This is where scarring is most likely after the acne subsides. As your tolerance for any of the above factors might differ from another’s, plans should also be adjusted to suit expectations. Clearly, acne management can be a daunting affair for many of us; the choices are many and compliance to a plan can be difficult. A thorough and detailed consult, as well as close follow-up is essential to an effective and safe outcome. Other new treatments are under clinical trails, but until they pass the stringent safety and efficacy tests, we will have to make the most of the current arsenal of tools. To find out more on these treatments, click here to read more. If you are struggling with post-acne scarring, find out more about scars and how you can be free of them!